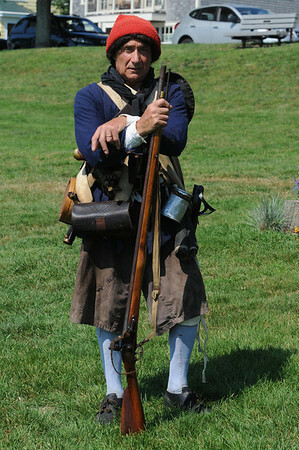 Bob Erbetta is dressed in his Glover Regiment uniform. The annual Glover Regiment's encampment on Fort Sewall is coming up this weekend. Photo by Ken Yuszkus/Salem News, Wednesday, July 6, 2011.